I’ve got many goodies brought from the last trip back to Hong Kong, including intangible, great memories and tangible things, like this new kitchen toy – Joyoung soymilk maker. It’s recommended by my friend. After a long search from online and different local electric stores in Hong Kong, I got my hands on one finally in Shatin. Each only costs HKD580. I found the soymilk maker quite helpful. Not only does it help make soy milk easily, but also quickly make a variety of creamy soup or porridge in twenty minutes. The end result of the first attempt to make soymilk with this machine was very satisfied. I’ll definitely enjoy more homemade soy milk from now on. Happy ! Don't get disappointed if you don't have one. You still can enjoy fresh homemade soy milk without this soymilk maker. The result will be equally good, with more time and effort required though. The method is posted after the recipe. Rinse the soybeans and soak in plenty of water for at least 6 to 8 hours, or overnight. Rinse and drain well. Add water up to the water level of 1100 ml according to the manufacturer’s manual. Select the “wet beans” mode and turn on the machine. When the machine finishes, drain through a sieve. Add sugar to your liking. It can be served hot or chill in fridge after cooling down. Transfer the beans into a food processor, and add water to barely cover the beans. Process for about 3 minutes, until finely ground. You might need to work in batches. Strain through a muslin bag and squeeze out the liquid. Transfer the liquid into a large deep pot. Cook over medium-low heat. Constantly stir to avoid some residues from sticking to the bottom. Don’t leave the pot unattended because you don’t want your soy milk to spill over or burnt. Bring it to a boil and continue to cook for another 5 minutes. Stir in some sugar according to your liking. When the sugar is completely dissolved, it’s done. Change the soaking water a few times if the weather is warm, or place it in the fridge. 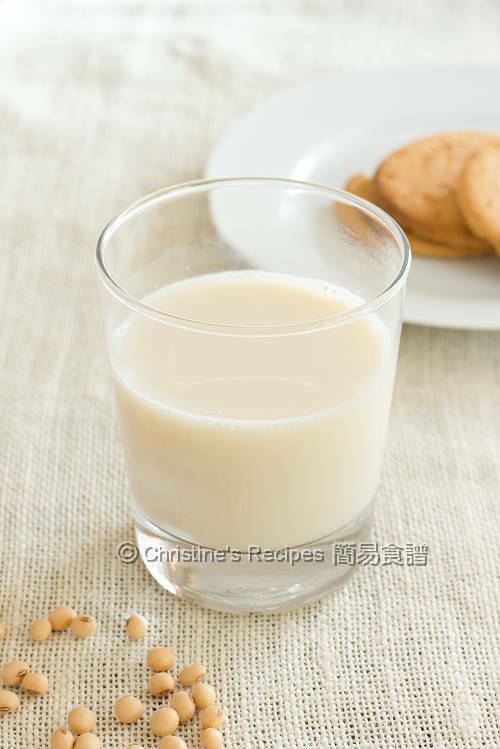 The amount of water to cook soybean milk can be adjusted according to your personal preference. I just followed the instructions of the manufacturer’s manual and filled the water up to the mark. Think that more soybeans could be added if you want more soybean flavour, yet I haven’t tested out how much is the maximum amount of soybeans can be added. Be cautious that not too much though. It might over spill otherwise. Thus, I followed the instructions religiously for the first time, and found the end result was quite satisfied. The leftover can be stored in fridge up to three days. Hi Christine, I have been looking for a good soy milk maker to buy. Do you have any idea whether the seller has an online store ? Their official site is here. It's in Chinese. If you don't read Chinese, here's I found aJoyoung product on Amazon, yet not exactly the same model as mine. You can ask a friend to get one from HK for you, a lot cheaper than from Amazon. Hi Christine, would it be possible if you could provide the store name you bought the machine from? I also happen to live near Shatin, so perhaps I could get my hands on one too! I got it from 西田百貨 Seiyu (Shatin) Department Store. You might get one at special offer on boxing day. All the best. I don't have a soy milk maker so I guess I have to make this by straining through the muslin bag! :O I will try to make the effort somehow. I was searching online for soymilk makers and stumbled across your blog. Thank you for the useful information. I am currently spending a year in China and am going back to the US at the end of the month. 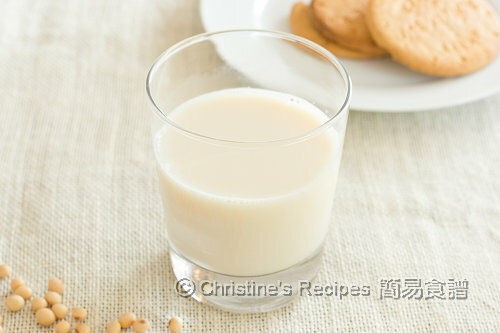 As a soymilk lover, I was super excited to find out that there was such a thing as soymilk maker in China and would really like to take one back home. The problem is, I found out that the Chinese soymilk makers are made for 220V which would make them unusable in the US (110V). Did you have the same problem, and if so, how did you solve this problem? Mine was bought from Hong Kong, and I don't find any problem when using it here. Thank that if you have a transformer, that'd help a lot. Just get one that converts 220V to 110V, then you can use any electronic appliances made in China. 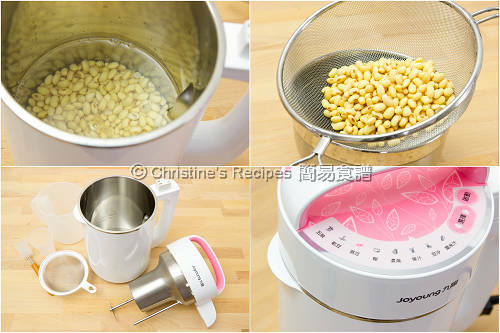 Hi Christine, are you able to make desserts like black sesame soup and almond soup on this machine? Yes, you can. The manual has got the recipes too. Hi Christine! How would you add black beans to make it a 黑豆漿? Simply add as much of black beans as you like. For myself, I used half of black beans and half of soy beans.